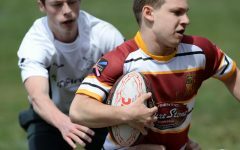 After playing in the North Carolina Ruggerfest, one of the largest gatherings of high school rugby teams, the Walsh Jesuit team was ready to face the new season. 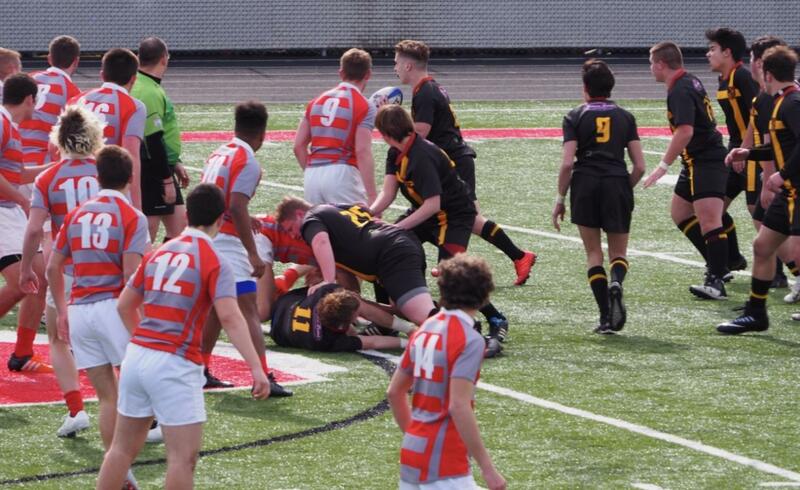 In the tournament held on March 5, Walsh unfortunately lost all three games due to two factors: the Warriors faced well-seasoned teams, and 11 of 21 Walsh ruggers played their first game ever. 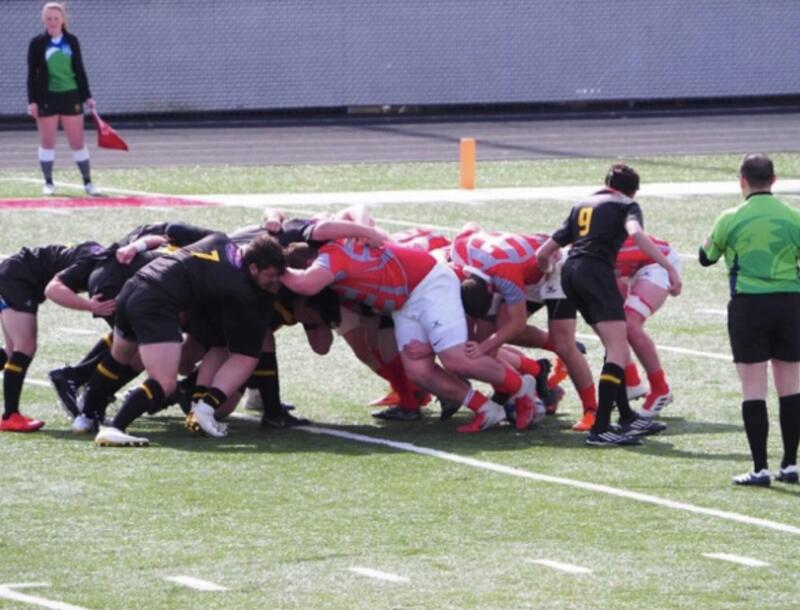 The Warrior ruggers challenged West Allegheny on NEED DATE AND SCORE. Fourth year coach Matt Pickston was not at all distraught by the results of the tournament. 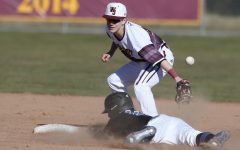 “I am so proud of them all because none of them shied away from stepping up and playing a position in a sport they haven’t played before,” Pickston said. Coach Pickston has high hopes for the season because he saw a lot of potential from players old and especially new at the tournament. Stevie leads the forwards, who are essentially the equivalent of linemen in football, on the rugby pitch. The forwards came through in a big way in North Carolina, because many of the plays involved used them to advance the ball forward. Many other forwards, like senior Ethan Johnson, sophomore T.J Imburgia and freshman Caleb Johnson, believe they can be a major threat on the field. Sophomore Quinn Smole, in his second year of rugby, anticipates a winning season. “We have a lot of talent with the forwards, so we can do some serious damage before we pass the ball to the backs,” said Quinn. The backs, similar to football running backs, bring a fresh set of talent with a determined mindset. 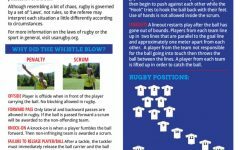 While the players may be new to the sport, coaches and players alike notice the skill the backs possess. The Warriors scrum against West Allegheny as junior Gavin Pickston (# 9) waits for West Allegheny to play the ball. Assistant coach Sam Lewis, who coaches the backs, is eager for another year of coaching and is excited to see how the team fares this season. “You know, right now it is early to say how we will do this season since we have lost some key players. But the levels of talent present show great potential, especially in the backs,” Lewis said. 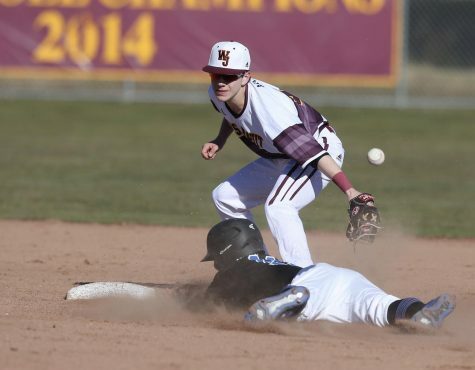 The Warriors begin their season at home against Shaker Heights on Sunday, March 24, at 1:00 p.m.